Trend-alert! 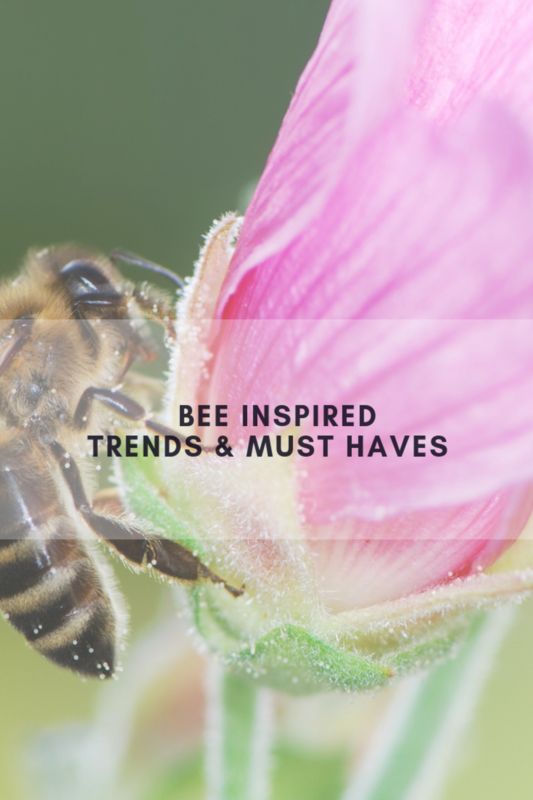 If you have checked out the latest fashions for fall and the upcoming holiday season, then you may have noticed that Bee-Inspired fashions are in. 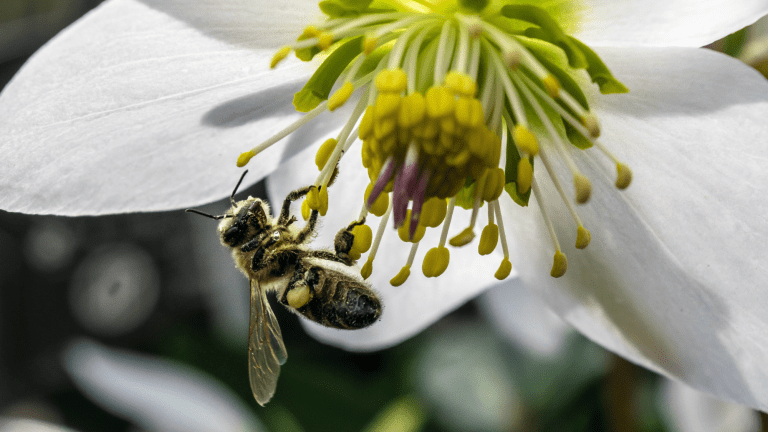 Everyone is worried about our bees and their dwindling population and activists all around are spreading the word, sharing what you can do and raising awareness to save our bees. We all know that without bees, we don&apos;t eat! As with many fashions trends, designers play off of current events and play their own unique role to bringing important matters to the forefront. 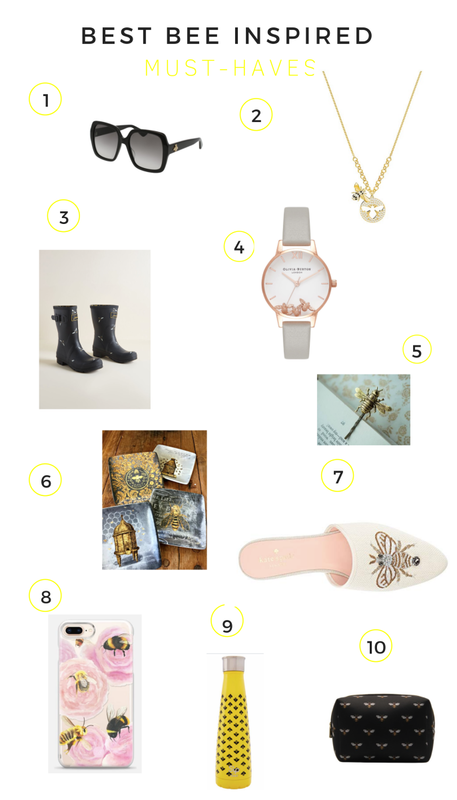 We are loving all the bee-inspired must-haves and have rounded up a few to share! I have always been fond of bees so when I saw that the Gucci line-up included bees, I knew Bees were about to hit the mainstream. You can find a range of Bee-emblazoned Gucci wares HERE, but we are partial to the sunnies. Delicate jewelry is always a win and this Swarovski necklace is sweet as honey. Ducks aren&apos;t the only ones who like rain! Stay dry and chic in these bee printed wellies. My friend suggested I check out the beautiful designs from Olivia Burton and if you&apos;re looking for an elegant way to send the message that you&apos;re sticking by the bees, you have to check out her entire collection. Of course, for handmade, vintage inspired bee must-haves, scroll through the many offerings on ETSY. and for the bee goods motherload, you&apos;ll need to check out the Bee Hive Shoppe. We think these dessert plates are just divine for your next tea party. We love the protection and style we get from the device covers from Casetify. Serious bee collection for all your devices. Keeping hydrated is always on trend and this swanky bee bottle from Swell is just too adorable to pass up. I can&apos;t wait for the next collection of cosmetic bags from MyTagalongs. MyTagalongs has every type of travel necessity you can dream up, in fashionable prints, high quality textures and a wide variety of shapes and sizes to fit anything and everything. The holiday collection is on its way and I am in love...SO many pieces featuring bees, like this must-have cosmetic case. Love that I got a sneak-peak. Did you miss our post on alternative ways to use honey? Number two will surprise you! This is not a sponsored post. Some samples from @mytagalongs were received. Hang tight they&apos;ll be ready soon!